We offer Nationwide Shipping as well as Financing with RATES as low as 2.29%** for well qualified buyers. No credit bad credit bankruptcy NO PROBLEM. Lease Return Center makes every effort to present information that is accurate. However, it is based on data provided by the vehicle manufacturer and other sources. Lease Return Center is not responsible for inaccuracies of vehicle information. It is the customer's sole responsibility to verify the condition and any equipment listed. Vehicle price and data are subject to change without notice. Prices are based on onetime payment by the customer. For finance deals finance charges will be applied and price will be greater than the price listed here. 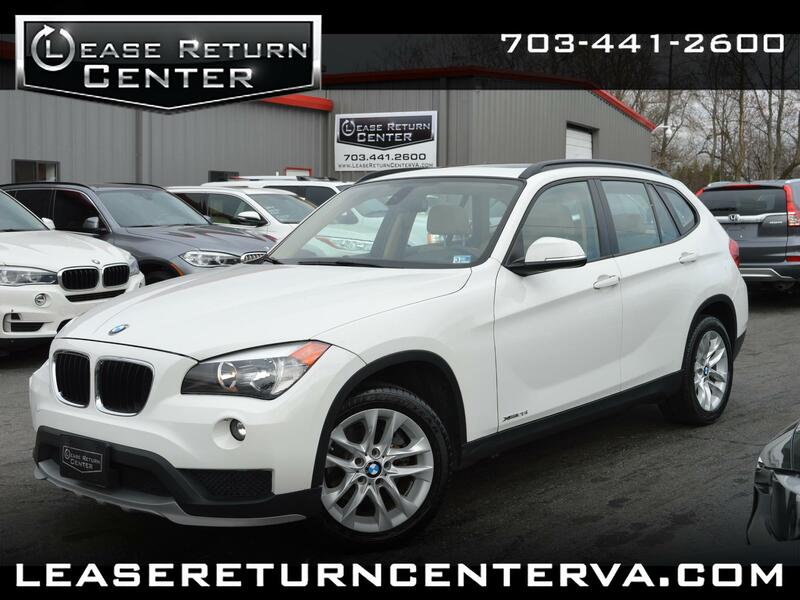 Lease Return Center assumes no responsibility for errors and/or omissions in this data or the compilation of this data and makes no representations express or implied to any actual or prospective purchaser of the vehicle as to the condition, vehicle specifications, ownership, vehicle history, equipment, accessories, price or warranties. Message: Thought you might be interested in this 2015 BMW X1.